What happens when you tag out in the first 30 minutes of deer season? You get bored and are done hunting. Hubby and Dad both needed to be elsewhere last weekend so we stayed out of the woods. This weekend though, I am going into the woods. I will bring my camera and play photographer but I may also bring my gun and look for some coyotes. We know they are around - we saw a ton of high traffic areas in the snow recently. The issue of coyotes came up recently in a weekly newsletter from the National Deer Alliance. The NDA is a new organization that was started by hunters and managers at the North American Whitetail Summit. The goal of the group is to get all deer hunters involved and talking about the issues facing the deer herd in each state. From coyotes to Chronic Wasting Disease and habitat concerns to celebrating youth hunters... there are a lot of things that deer hunters should be talking about and sharing our concerns. If you have not heard about NDA and don't receive their newsletter, sign up! We need to have our voices heard when it comes to the animals that we care about. And hopefully, next week, I will have a picture of a coyote to show you. Can you imagine? A bear, deer and coyote all within a month (or so)? We shall see! I would also like Hubby or Dad to shoot one of those two nice 8-pointers that we know are still around. I may have tagged out ridiculously early, but I love deer season! How good is the fishing in Maine? fishing was just phenomenal. 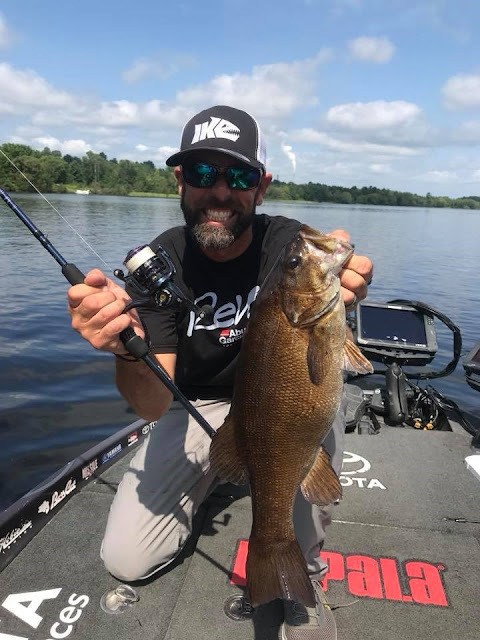 Outside of Florida or Minnesota, the sheer amount and access to water is incredible.” said Mike “Ike” Iaconelli, who finished 3rd the last time that the Summit Cup was held in Central Maine. In his fishing career, Mike is the only angler to have won the Bassmaster Classic, Bassmaster Angler of the Year and B.A.S.S. Nation Championship. “We fish all over the U.S and for me, I fish all over the world and the quality of fish in Maine is incredible. It almost seems like the fish have never been caught before. The number of fish and lack of fishing pressure helps to highlight that this is amazing world-class fishing” Iaconelli commented. I didn’t see the fawn but I watched in slow motion as the doe hit the corner of the oncoming jeep and disappeared into the tall grass. I hoped that it was just a brush with the bumper and that she would be OK. The driver pulled over and began to walk along the edge of the road to see if the deer was OK. 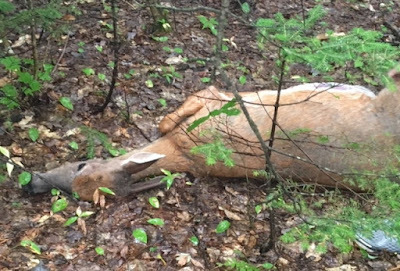 I pulled over on the opposite shoulder and asked if he was OK. We saw the doe struggling to get up and she made a horrific noise. I assumed that she had a broken leg so I asked my mom to leave me on the side of the road with the driver and go to my house to get the gun. I placed a call to dispatch was put in touch with a warden. He asked if I was able to dispatch the deer and if I wanted to. The last thing I wanted was for this deer to suffer so I said yes and wrote down the tag number. This is how I started my second week of deer hunting. I have never been so quiet in the woods. I was painstakingly slow and keeping my eyes peeled for deer. The week before, I had jumped two deer under my stand and I was determined not to have that happen again. I walked out and around our normal route into my stand. I was at a snail's pace. I would walk, stop and look. I would look again and take a couple of steps before doing it all over again. I watched for any movement near my stand. The leaves had fallen off the trees from the wind storm the weekend prior so I had a better view of the area. I could not see any movement near my stand so I paused next to our trail camera to look around and relax a little bit. The minute that I stopped, three loud blows jumped me off to my left. I had made a huge error; I was so concerned about looking near my stand, that I never figured that the deer would be on the opposite side of the path.